Male authoriship made a book more saleable in the 19th century. More credible. And this is one of the reasons why the Bells chose their names. 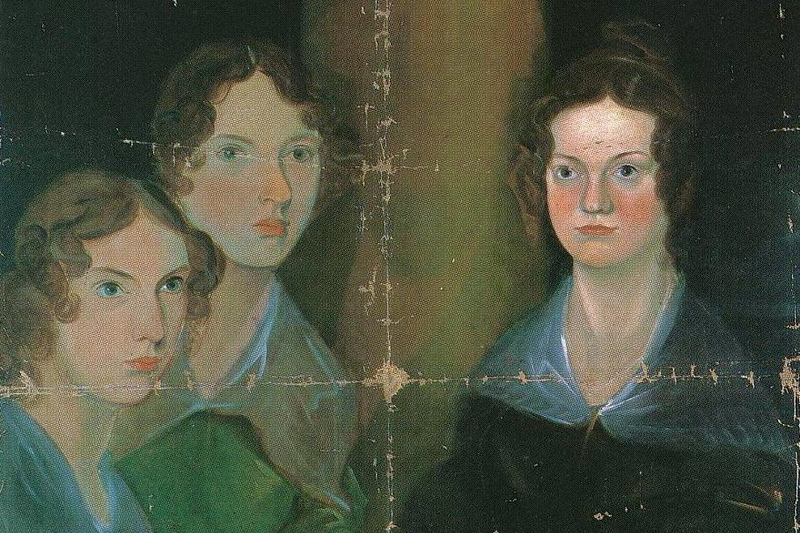 The Brontë sisters entered literary life as Messrs Ellis, Acton and Currer Bell. The story of Currer Bell’s discovery has already been told in these pages: His ‘Jane Eyre’ was an overnight sensation. Along with the public chatter about the story which spel.bound the English readership, there was a hubbub of speculation: was the writer of Jane Eyre really a man? Meanwhile, elsewhere in the Bell household, things were not as they should be. At precisely the time that The Professor landed on the doormat of Smith and Elder – July 1847 – two other manuscripts had found their way to a different publisher. Thomas Newby, however, was a ne’er do well. Charlotte Brontë later branded him a ‘shuffling scamp’. But the young Brontës were not to know that when they received an acceptance letter, Emily’s for Wuthering Heights and Anne’s for Agnes Grey. Did they smell a rat when Newby demanded a £50 deposit, returnable upon decent book sales? Possibly. But writers, on their journey to print, will do much to speed their way to success. Newby, at his offices in Cavendish Square,London, sat on the manuscripts. He waited until Smith and Elder had achieved acclaim for the third Bell brother; and then he published the two novels. The Oxford Companion to the Brontës records that he printed as well as published the books; and that they were peppered with errors. It was not until Mr Smith was negotiating terms with an American publisher to publish Currer Bell’s next book, Shirley, that it became evident that Newby was more than just a penny-pinching skinflint. It seemed Mr Newby had informed them that he was about to publish Currer Bell’s next book; under her nom de plume of Acton Bell. Mr Smith wrote to Currer Bell, indicating he would be happy to contradict this falsehood with the American company. But Charlotte was mortified. She felt,records Elizabeth Gaskell in The Life of Charlotte Brontë, that her honour had been compromised; and so Charlotte and Anne Brontë, or Currer and Acton Bell, or whomever you will, jumped on the first steam locomotive and made their way down to London to clear things up in person. At eight o clock on a Saturday morning the sisters arrived in London, and made their way to a Paternoster Road guest house for an ‘agitated breakfast’. Subsequently, they set out on a ‘pilgrimage’ to George Smith’s offices in Cornhill. George Smith heard the knock at the door. A clerk appeared to inform him that two ladies wished to see him, declining to give their names, but on a matter of urgency. His first sight of the Brontés is memorable. “Two rather quaintly dressed little ladies, pale -faced and anxious-looking, walked into my room,” the publisher recounts. One of them stepped forward with a letter addressed from Smith and Elder to Currer Bell. And it had been opened. George Smith admits he became sharp: what was a young lady doing opening Currer Bell’s correspondence? And the scales fell from George’s eyes, and he recognised that this little woman was the author of a masterpiece. And I have run out of words, with so much more to tell. We shall just have to leave another chapter for another day. Posted in Literary lives, UncategorizedTagged Charlotte Bronte, Smith and elder, The Brontë sisters, Thomas NewbyBookmark the permalink. “The scales fell from George’s eyes”… love your writing, and looking forward to the next section! I know! George must have thought his ship had come in! Quite. Nothing like showing up in person to knock nasty rumours on the head, is there, Lou? Wouldn’t you love to have been a fly on the wall at that encounter? I’ve perused Gaskell’s book and really should do more than that some time. I look forward to your next installment, Kate. It’s like a soap opera, the Brontë’s rise, Penny. And there are some beautiful recollections of Charlotte’s still in existence. I hang on every word, I confess. Such a talented gene pool. Indeed, Andra, and fostered so well. They had a writer’s collective right there, didn’t they? No, no! I don’t want to wait! I love your account of the Bells! I am simply awed by the drive and determination built into these women. They may not have been early feminists in the Woolf tradition, but they were indeed strong, admirable and resourceful women who took a swipe at antiquated gender bias. They were brilliant to work the system before revealing themselves. Bravo! I am really eager for more of the story, Kate. Yup: bravo to those formidable Brontës. They were every bit as absorbing as their heroines, weren’t they, Debra? I hope Thomas Newby came to a wretched end for preying on authors. Oh, no! Another serial, and once more we have the heroine tied to the railway tracks and a ‘toot-toot’ sound is heard. 😀 You have summed it up there, Col…time to vanquish Newby, the cad. The bounder. On a similar vein, the story of Beatrix Potter is interesting as well. There was a wonderful movie in 2006 called Miss Potter starring Renee Zellweger and Ewan McGregor. Told of her challenges of publishing in a male-dominated business. Really good movie. I remember it well. Lovely film, Carrie. Great post. What a dreadful time to be a woman in such a male-dominated and sexist world. I know. To have to fight that hard; yet they were determined, and good on them. Lovely tale. Cheered me up on this chill morning. Glad to hear it, Roger. Chilly here too. Not much has changed. I read that J.K. Rowling used the “J.K.” part because the public might not accept a woman could write such excellent fiction. It’s timetabled for Saturday….how nice to have someone waiting for it!